Noccalula Falls cascades over 90 feet into the Black Creek ravine. Come explore all the park has to offer and stay awhile in our campground. Paved walking trails wind through the Park proper starting at the Admissions Pavilion. For a low admission price you can take advantage of unique park amenities. In the park are beautiful rocks and gardens with an array of shrubs and flowers that may be viewed as you walk the park’s paved trail system or rest your feet as you ride on the authentic Huntington miniature train. Children can get up-close to the animals in the Petting Zoo and learn about life in the past in the Pioneer Village. Other offerings in the park include picnic pavilions, souvenir shop, and a children’s playground. 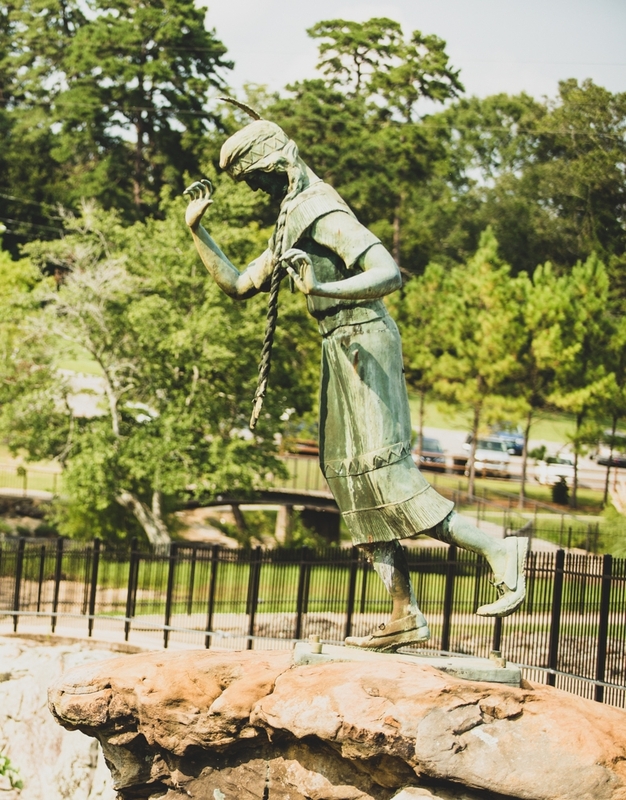 Noccalula Falls Miniature Golf Course, for a separate admission, features beautiful landscaping with cascading waterfalls and natural rock formations. The campground offers over 120 sites from primitive tent camping to pull-through with complete hook-ups. A swimming pool, laundry facility, picnic pavilions, rec room, playground, and rental cabins are available. The campground sits along Black Creek Gorge and offers awesome views of the Falls, the gorge, and the creek below. Grab your bike and snag your running shoes. We have more than 5 miles of trails and you can spend an entire weekend exploring the gorge. From the gorge to the forest - get wild.